Acreage and Commercial Property for sale by owner, Redwater Alberta. Commercial property with home and machine shop, Redwater Alberta. Acreage, machine shop, home and commercial land for sale, Redwater Alberta. 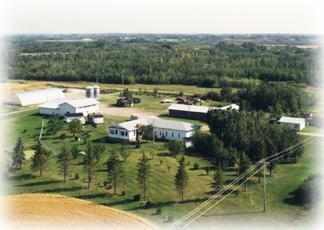 For sale by owner, Redwater Alberta, land parcel, commercial property machine shop, house. Country Living all in one. ½ mile north of Redwater. 2 bay garage for lawnmowers, quads, etc. 35 miles from Edmonton. ½ mile off of main highway between Edmonton and Fort McMurray. Daily courier/parts delivery/pickup from Edmonton. Includes large shop (5,080 ft²), Quonset (4,500 ft²), utility shed (3,120 ft²). Ideal for trucking company, fabrication shop, etc.